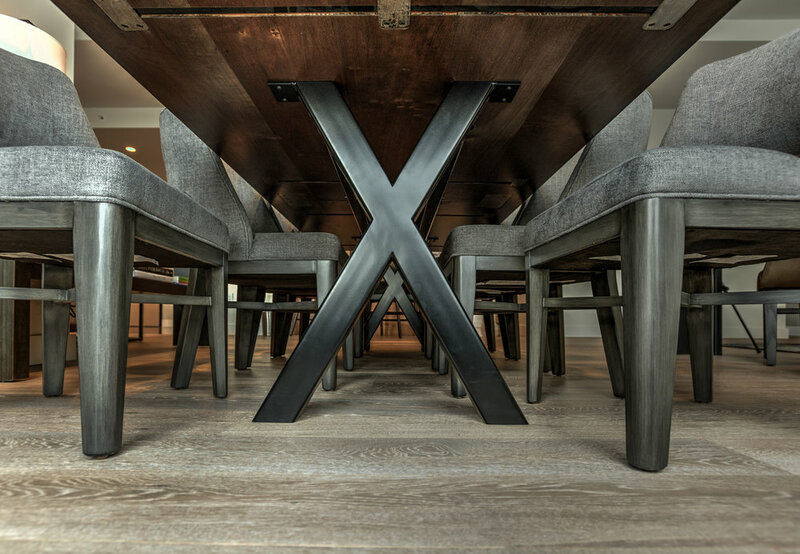 Our custom wood community tables complete any space with a welcoming presence that draws both the eye and the hand of those in their presence. 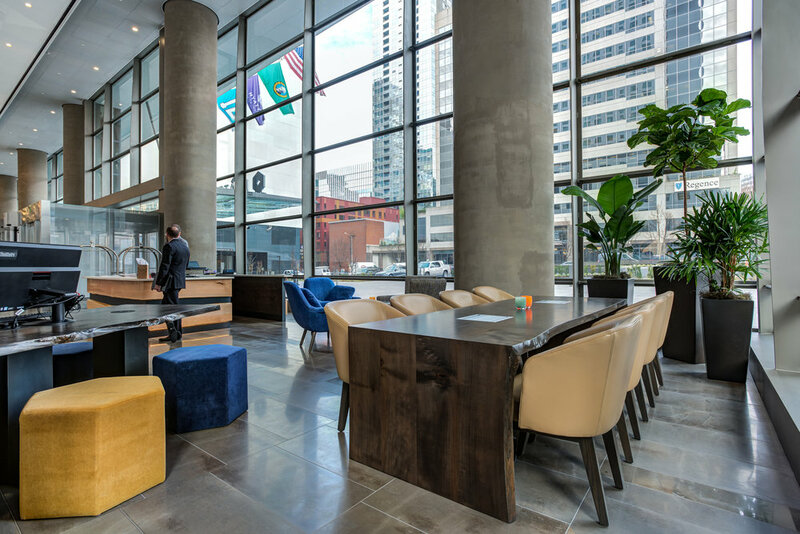 Each table embodies collaboration and a sense of community with the warmth and beauty of solid wood, artfully composed and beautifully finished for you. 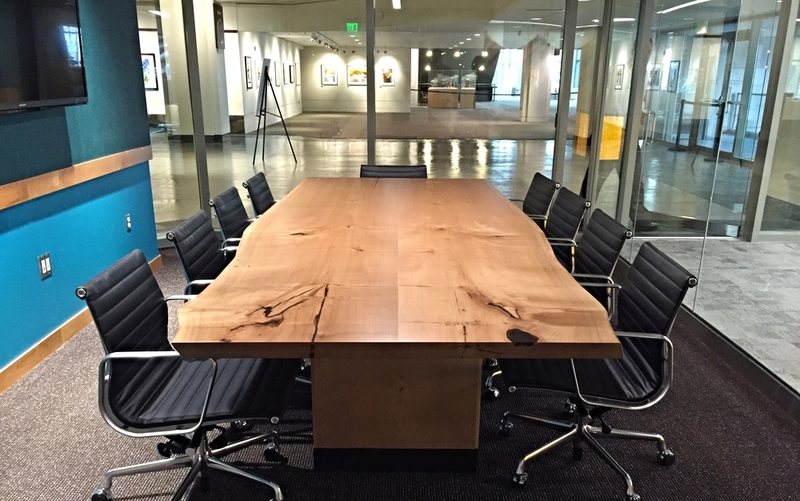 Download our Community Table Catalog for more information. Our metal base designs are available in a variety of metal finishes. Custom options also available. 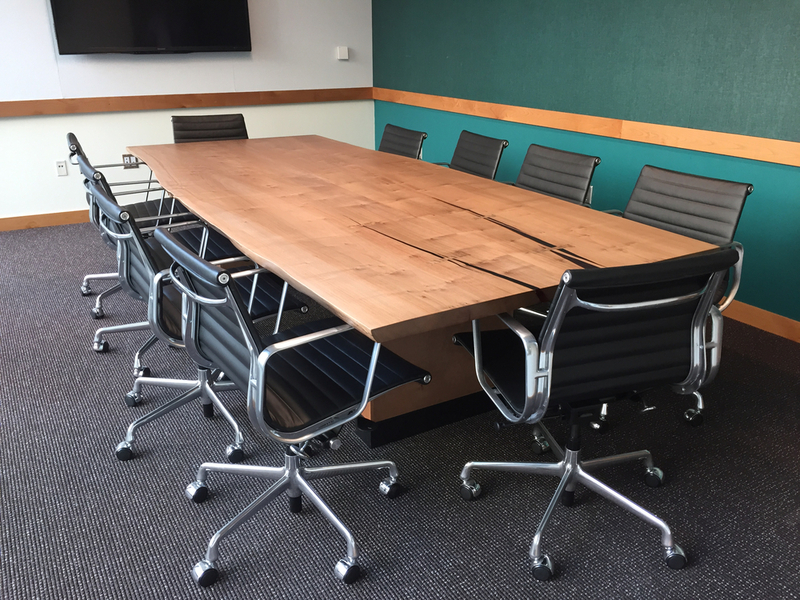 We offer four standard wood base options with built-in cavity for wiring and power access, available in over 30 wood finishes and a variety of metal finishes for those that include metal details. Custom options also available. Our standard power/data boxes are configured with 2 -4 UL listed electrical outlets and optional cutout for telecom plate. 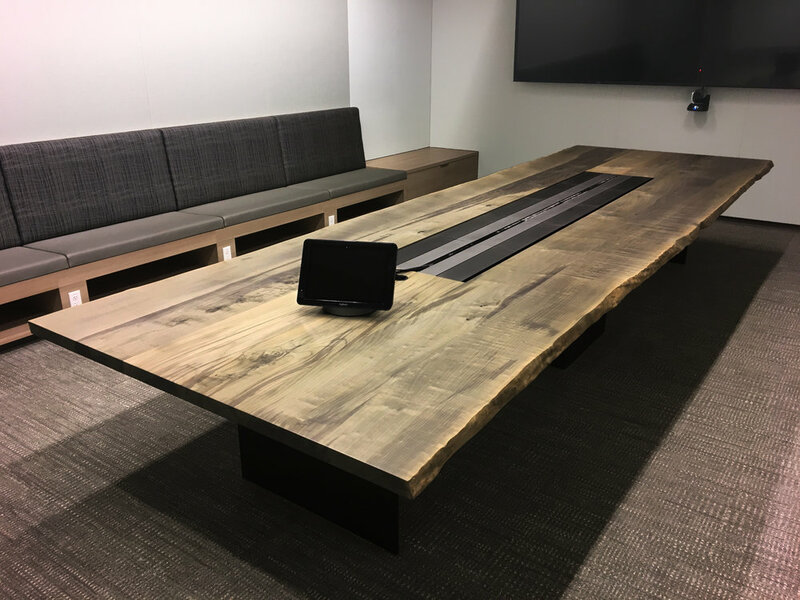 Our custom power/data units are available in matte black, stainless steel or to match the grain of the table. Wireless power options also available. 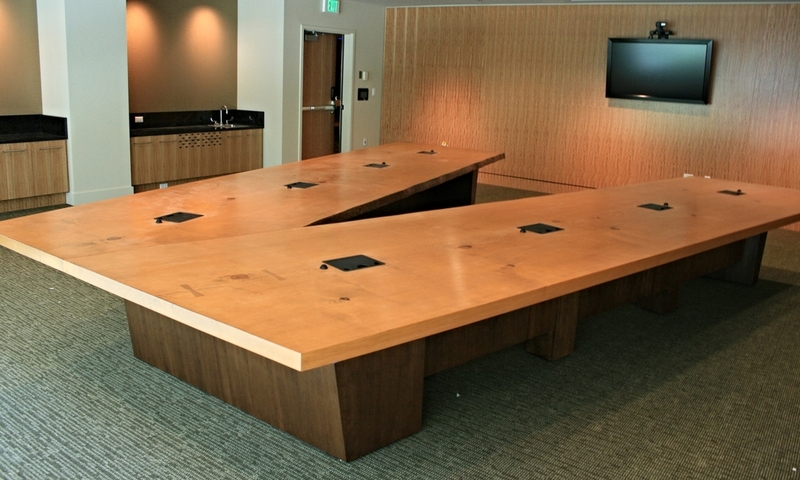 We offer over 30 custom wood finishes and several metal finishes on our community tables. 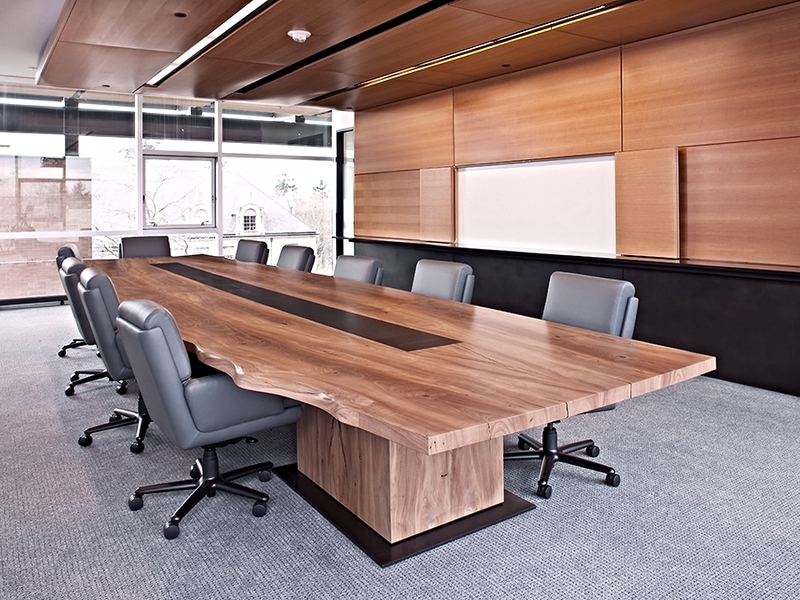 Variation in color and grain character are natural attributes inherent to solid wood. The swatches below are meant to show general tendencies of color and grain character of various species that are frequently available, and are not meant to be used as control samples. 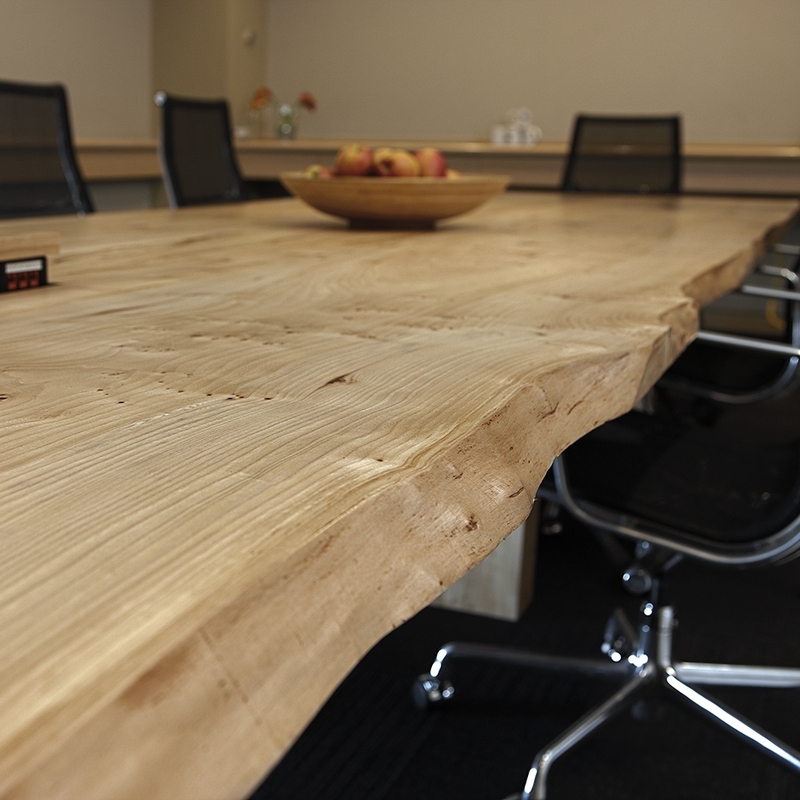 For more information on our finishes, please visit our Wood Finishes page. 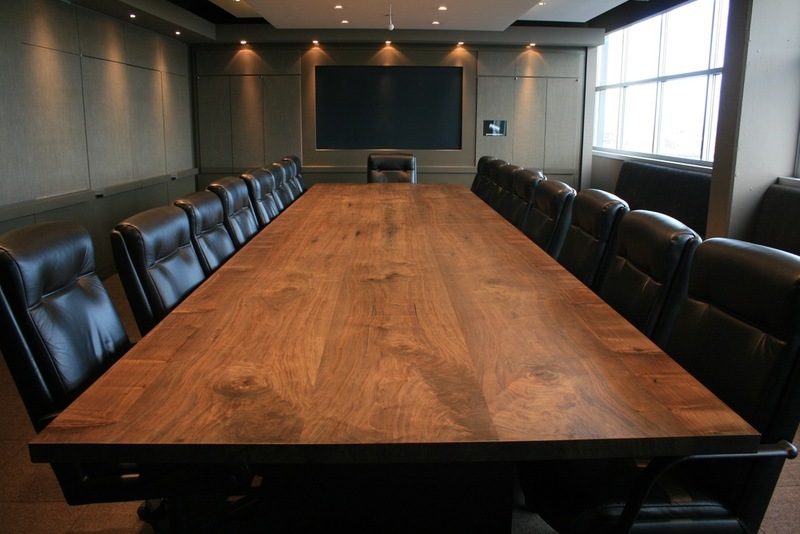 Our standard conference table line offers limited customization in an easy to order package. 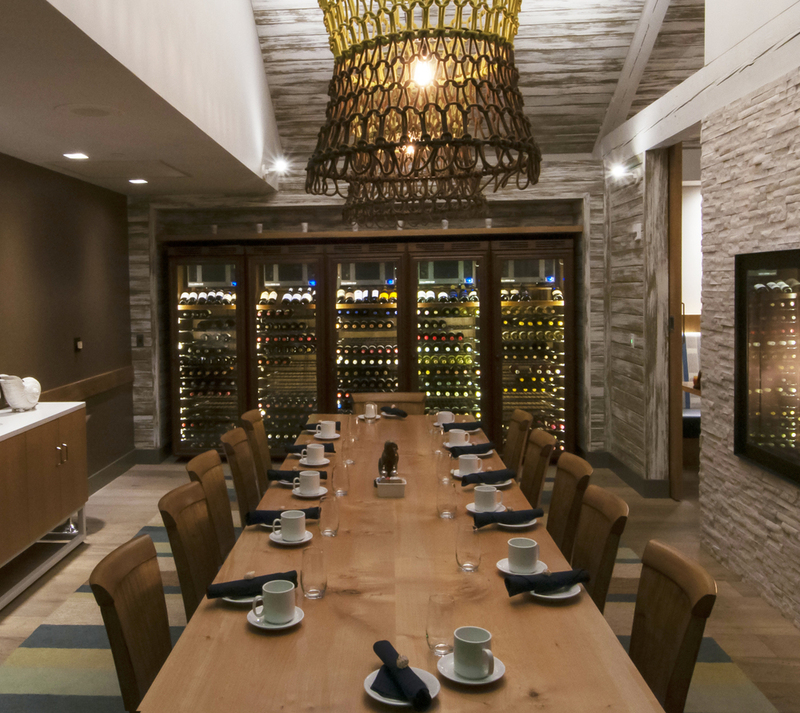 We've assembled a manageable collection of top, base, technology and finish options to give your table a one-of-a-kind feel.